A hypodermic needle tip has a diameter of 5 mm. Shown below, the height changes from 3 mm to 8 mm. Assuming it is not hollow, what is the volume of the hypodermic needle tip? 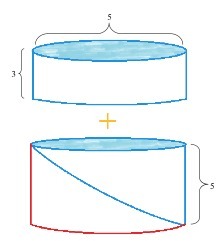 There are several non-calculus ways to solve this problem. 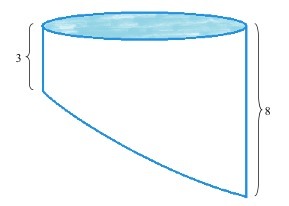 1st let’s look at the shape; it’s a cylinder that has a slice cut off. 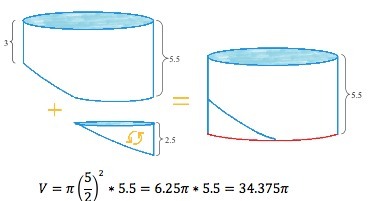 One way to calculate the volume is to see that you have a cylinder that has a height of 3 mm, and a half of a cylinder that has a height of 5 mm. Another way to solve this problem is to find a middle ground. Because the shape is symmetric you can even out the bottom, forming a cylinder with height 5.5mm.